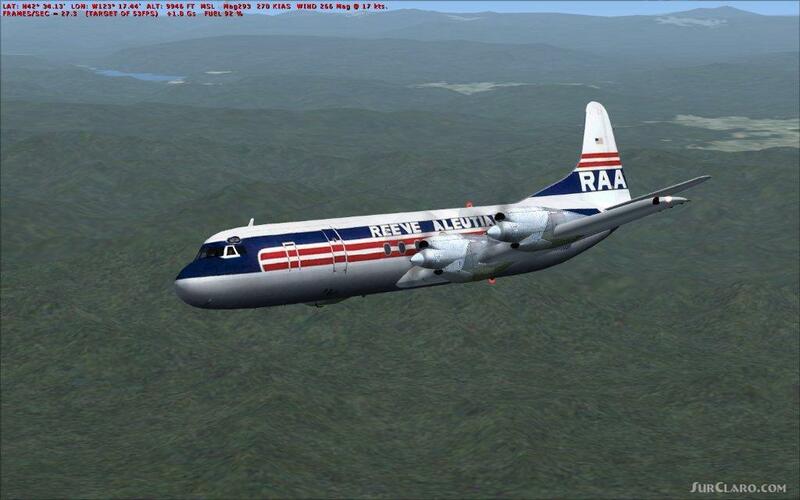 Lockheed L-188 Electra II Varig. 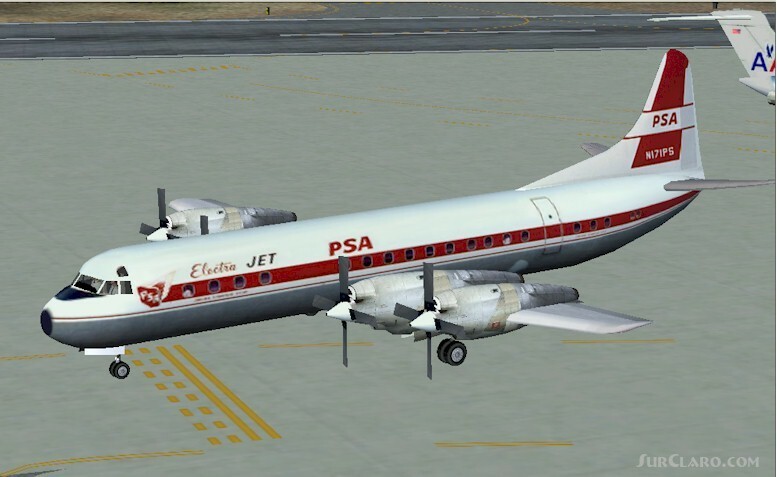 FSX Version Model: Pp-Vju Totaly Free. Sounds and FSX conversion by Victor N Merculief Jr. Flight Simulator Design Studio (FSDS) drawing by Jrlucariny. Texture by Luiz Foernges. The Lockheed L-188 Electra II certainly stands in the running as the crowning achievement of the age of the propeller-driven airliner. It was fast, powerful, quiet, comfortable. It seemed to be a natural feature of the sky. Lockheed L-188 Electra II Varig. Rating: 9.27 of 10 over a total of 11 reviews. great aircraft, agree the cockpit is a little strange but exterior and sounds make up for this. Well done, plane to fly. Good download..I also downloaded it to FS 9,seems work ok, except for the FSUIPC Message Interior shots,of 1st class, Cockpit needs a tad of work... but not too bad. would rated higher , if had more authentic cockpit. Nice sounds. sure why, 1 Engine feather button is missing, 2,3,4 are all there. The 2D cockpit could use some work. virtual appears missing. Otherwise, this is a very worthwhile add on. An excellent add on that is easy to install, well rendered and flies nicely too. i installed this FSX version FS9 it worked but brought up an FSUIP message needed be corrected. Triffic old ish airplane.